Dynamite Threads: A small alteration. 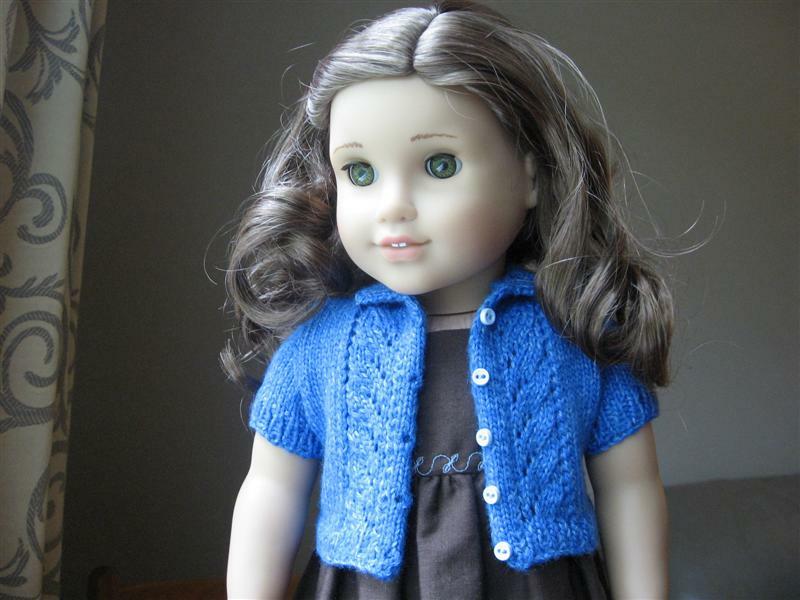 I tried the blue cardigan on Rebecca this morning, it was pretty much dry. It fit ok, but not as nice as I like. It was riding up in the back and the collar wasn't sitting perfectly. I couldn't bear to frog the entire thing so I carefully picked out the collar and picked up new stitches all along, adding a yoke to the back with short rows. The yoke gives it more ease and a better fit. A successful rescue of 15ish hours of knitting. I changed the collar too, I think it makes a nice variation on a classic wardrobe piece. I started the navy blue cardigan last night, it's coming along well. There is a bit of it in the first picture above. I am making this one as a winter version with long sleeves, a longer body and slightly more width for wearing over more than a sun dress. 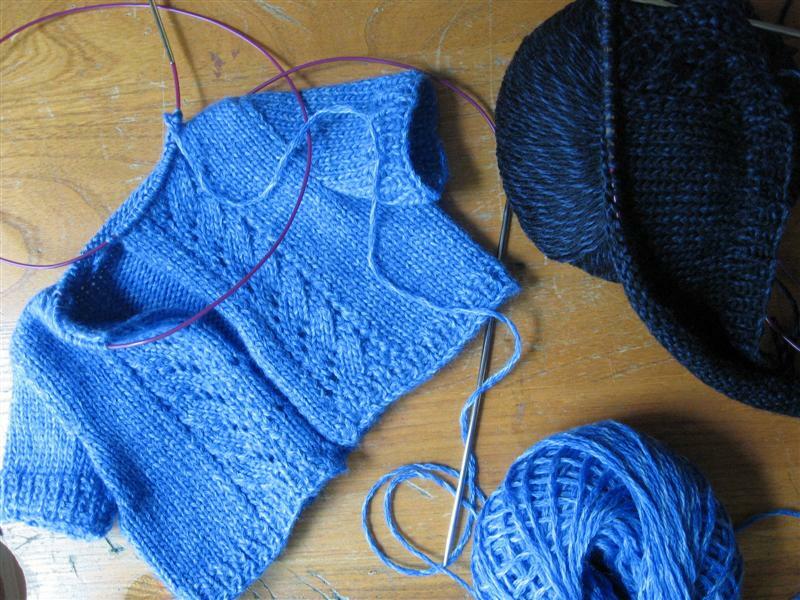 This one will take a bit longer to make, these little sweaters are a lot of work. Busy busy in Dynamite land. Switching gears for a week or so.